On April 29, 2015, in Mach Mining, LLC v. EEOC, the U.S. Supreme Court held that courts have authority to review whether the EEOC fulfilled its obligation under Title VII to attempt conciliation before filing suit. However, the scope of judicial review is extremely limited. Employers gain little from this mixed decision. In Mach Mining, the EEOC found probable cause to believe that the employer failed to hire the charging party, and a broader class of female applicants, as coal miners because of their gender. 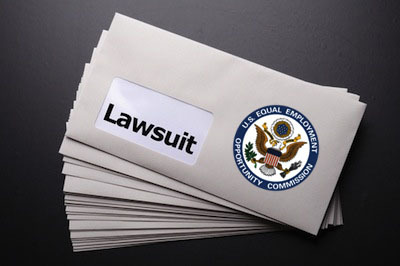 Although the EEOC issued a determination letter which invited the employer to attempt to resolve the matter, the EEOC made no other attempts to conciliate the claim. A year after the determination letter, the EEOC used a second letter advising that conciliation efforts had been unsuccessful, and shortly thereafter, the EEOC filed suit. The employer asserted as an affirmative defense that the EEOC was required to conciliate the claim before filing suit. In response, the EEOC moved for summary judgment on the grounds that the EEOC conciliation efforts were not subject to judicial review. The district court ruled against the EEOC and granted leave for an immediate appeal. The Seventh Circuit Court of Appeals reversed, holding that the conciliation obligation was not reviewable. The Supreme Court analyzed the conciliation language in Title VII which provides that the EEOC must first “endeavor to eliminate [the] alleged unlawful employment practice by information methods of conference, conciliation, and persuasion.” 42 U.S.C. § 2000e-(5)(b). Further, so long as “the [EEOC] has been unable to secure from respondent a conciliation agreement acceptable to the [EEOC],” it may decide to sue the employer. § 2000e-5(f)(1). The Supreme Court held that under Title VII, this conciliation obligation for the EEOC was mandatory and subject to judicial review. There is very little that an employer can take away from this decision. First, it must be kept in mind that the conciliation obligation only applies to the limited situations where the EEOC decides that it will pursue an action. The EEOC brings very few actions, compared with the large number of cases that are dismissed and a right to sue letter is issued. Moreover, without a corresponding obligation to conciliate in “good faith,” the obligation to conciliate is rendered meaningless. That does not mean the Supreme Court got it wrong, as it interpreted the existing language of the statute. Title VII places no specific obligation on the EEOC to conciliate in good faith before bringing suit. Until the conciliation language of Title VII is changed by Congress, the Mach Mining decision will be a victory in name only to employers.